Kuwait is hosting the qualifier for the Red Bull King of the Rock, a one-on-one basketball tournament where sixty-four of Kuwait’s most talented basketball players will fight to advance to the final 16 which will take place on May 23 at the same place. The winner at the final will earn a “golden ticket” to compete in the Finals on Samasana, Taiwan. 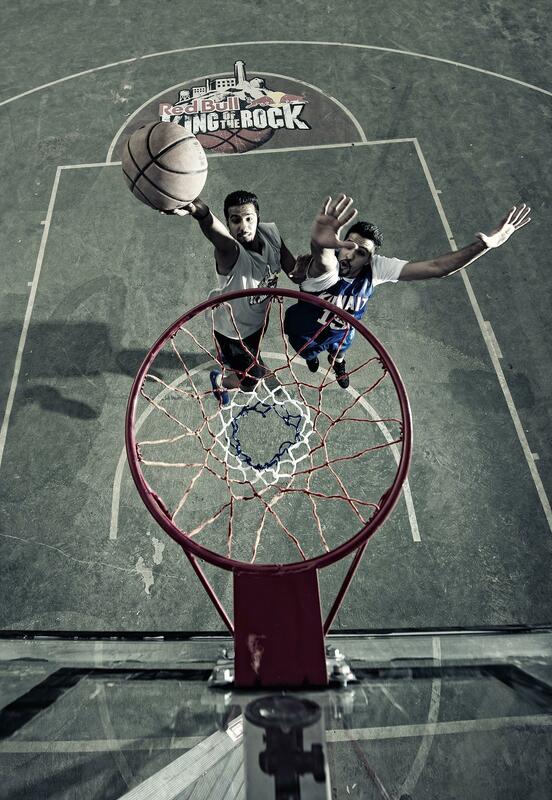 This entry was posted in Local, Sports and tagged basketball, king of the rock, Kuwait, Red Bull. Bookmark the permalink. 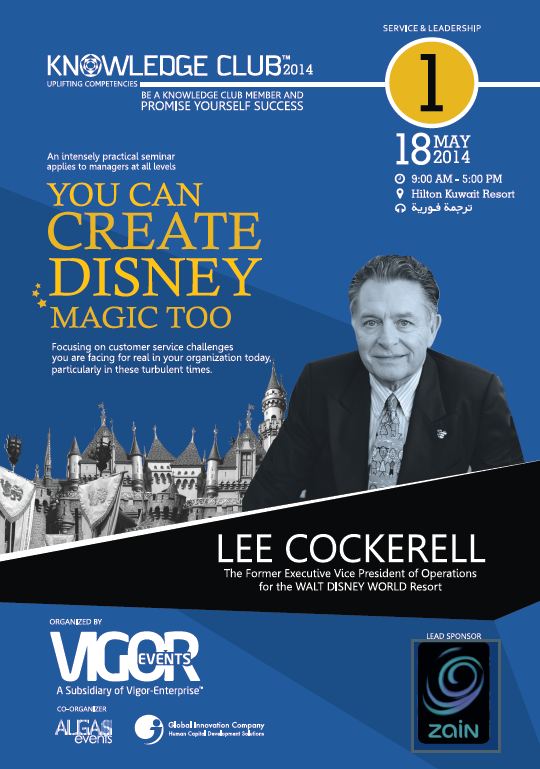 A seminar by Lee Cockerell, former Executive Vice President of Operations for the WALT DISNEY WORLD Resort in Florida. 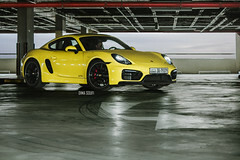 This entry was posted in Educational, Events, Local and tagged algas events, Business, leadership.kuwait, lee cockerell, seminar. Bookmark the permalink. My brother’s latest cover: Black Magic Woman by Santana. It’s really worth hearing out, and I’m not just saying this because he’s my brother. This entry was posted in art, Entertainment, Local, Music and tagged black magic woman, cover, guitar, Music, santana, solo, song. Bookmark the permalink. 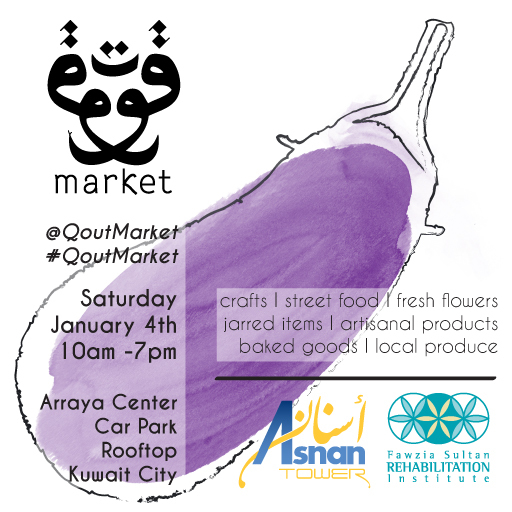 The 3rd Qout market -and first of 2014- will be taking place tomorrow Saturday Jan. 4th at Al Raya Center’s Car Park rooftop from 10 am – 7pm. The charity petting zoo is back and will be open all day, @FSRI will be hosting an entire lane of children’s activities for their nonprofit, and @AsnanTower will have a charity kitchen featuring local celebrities and chefs raising money for the hungry. Lots of delicious things to experience, try, and buy. Look for the ATM machine by the Qout Market welcome desk along with a water station to keep you hydrated while you shop. Don’t forget to grab your locally made, hand-printed Qout Market tote bag. This month’s illustration is the eggplant! 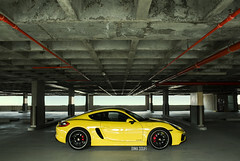 This entry was posted in art, Events, Food, Health, Local, Places to go and tagged farmers, Kuwait, market, qout. Bookmark the permalink. No More Hard Rock Kuwait? If you’re a loyal fan of Hard Rock Cafe you better enjoy it while you still can. I was informed by a staff member that they will be closing down soon -in a month or so- to be replaced by a Lebanese restaurant. 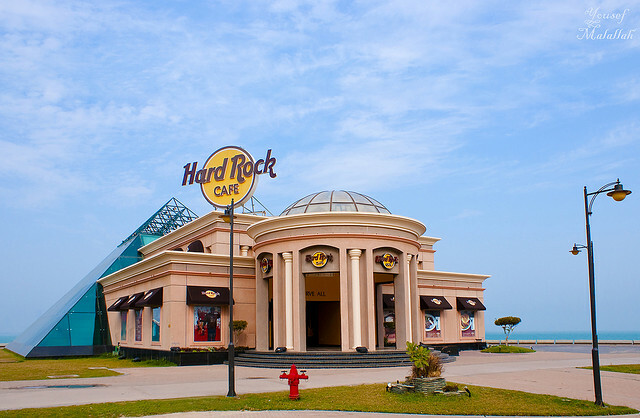 This entry was posted in Food, Local and tagged hard rock, Kuwait. Bookmark the permalink. Felix Baumgartner Landing In Kuwait? 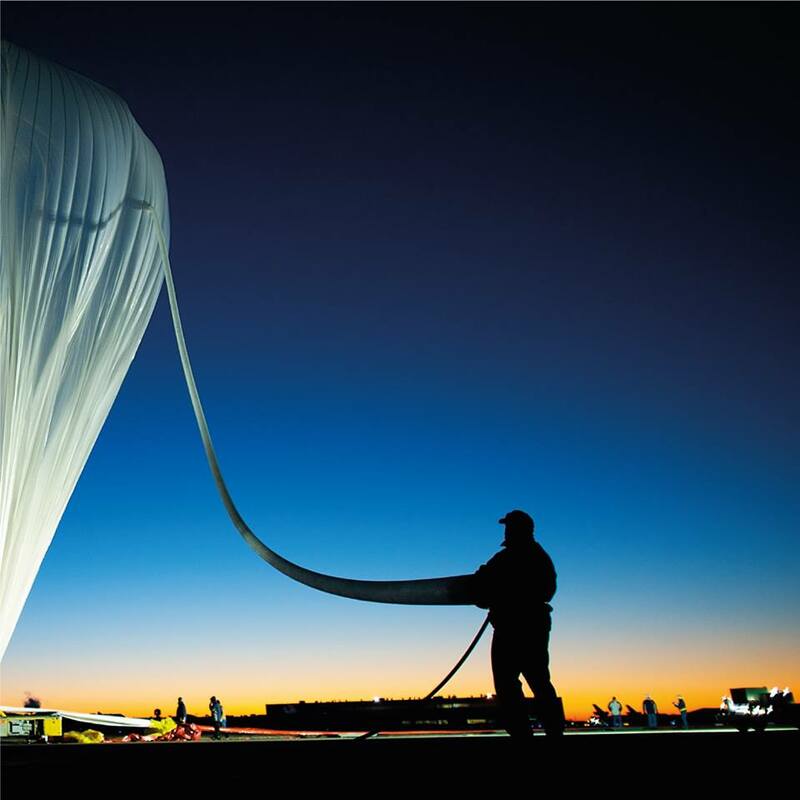 Redbull, for the last couple of days, have been posting teasers on their Facebook page of what appears to be shots from Felix Baumgartner’s famous space jump which the whole world witnessed last year, along with the hashtag #GuessWhosLanding in Kuwait. Could we be in for witnessing another jump by Felix right here in Kuwait? I wouldn’t expect another space jump, but a jump from the Kuwait towers – for example- would be cool. This entry was posted in Celebrities, Local, News, Sports and tagged daredevil, feliz baumgartner, jump, Kuwait, skydive, space. Bookmark the permalink.